It is an ancient dwelling which originally belonged to the Order of the Minor Franciscan Monks and then to various illustrious Ravennate families: Da Polenta, Scarabigoli, Rasponi and Fabri. 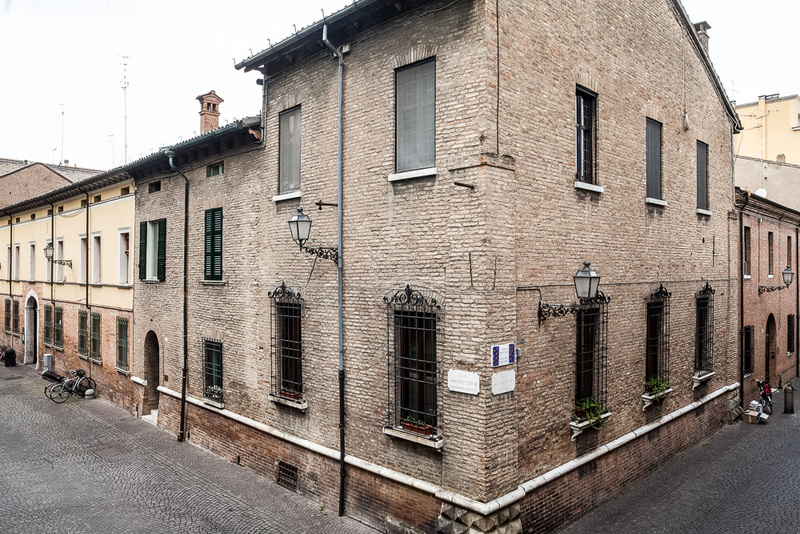 It is said that Dante may have stayed here while he was living in Ravenna and wrote the “Paradise” (1318-1321). The building, largely rebuilt after after the bombings of the war, is in face brick with sloped basement. The original parts are a plinth bordered by Istria Stone and ashlar stone pattern.